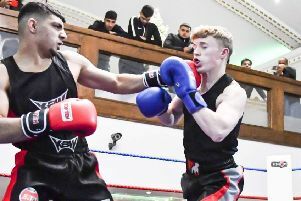 Heckmondwike and Carlinghow picked up only their second win of the season as they won their basement battle with Windhill and Daisy Hill in the Bradford League Conference last Saturday. Windhill were bowled out for 157 as Nazakat Hussain picked up 4-41 with support from Paul Cooper (3-35), as veteran Maz Bhatti top scored with 53. Heckmondwike openers Matthew Crowther (68) and Cooper (59) then shared a 124-run partnership to set up the victory. Heckmondwike remain second-bottom, 15 points behind Rodley but they have now opened up a 25 point lead on bottom side Windhill in the race to avoid the wooden spoon. Crossbank Methodists are eighth after they suffered a three-wicket defeat to Great Preston, despite a fine all-round display from Adam Holroyd. Crossbank were bowled out for 174 when they batted first as Holroyd top scored with 46, while Jacob Wright was the best of the Great Preston bowlers claiming 5-44. Holroyd then took 3-32 but was unable to prevent defeat as Oliver Baron hit an unbeaten 62. Jer Lane moved back to the top of the Conference table after they defeated Azaad by five-wickets to take advantage of Adwalton’s 130-run defeat by Sandal. Jer Lane lead Oulton by a single point, with Adwalton a further four behind in what is turning into an intriuguing title race.